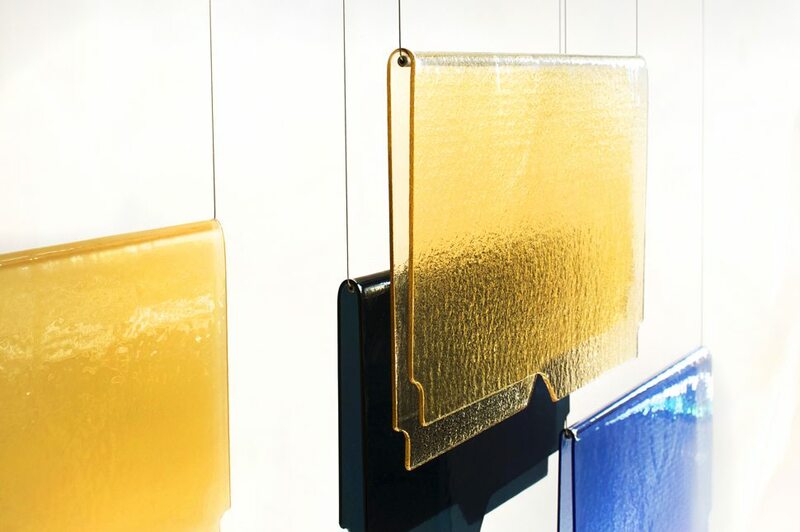 Sylvia Lee, Executive and Creative Director of Jeff Goodman Studio presents Mountain Fold: An Exploration of Folded Glass. The installation sees fragile glass carefully folded and shaped like a vernacular file folder, and then hung in suspended animation in a floor-to-ceiling installation. The final 10′ x 14′ piece is installed in CO Space, situated on the upper level of the Craft Ontario Shop and Gallery on trendy Queen Street West. It’s purposefully away from the noise and traffic of the main floor. It welcomes viewers to sit for a moment in the quiet space and engage the installation. Jeff Goodman Studio is a modern glass design and fabrication studio based in Toronto, Canada. 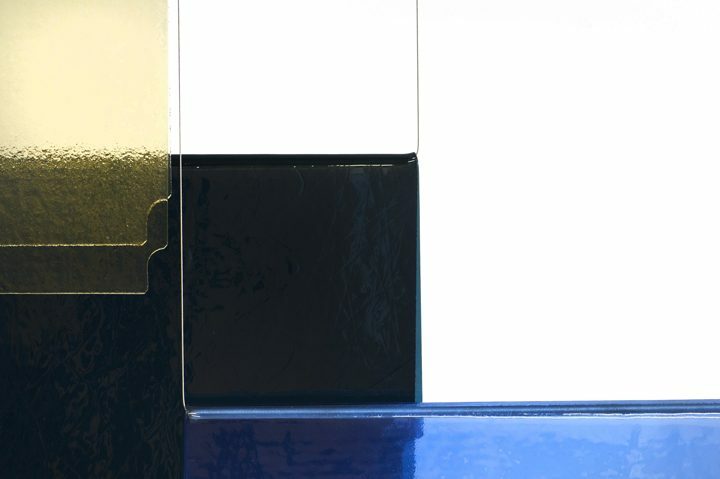 Lead by Executive and Creative Director Sylvia Lee, the studio is made up of master craftsmen and glass artisans who produce handmade installations, lighting, vessels and architectural glass for luxury projects worldwide. The 29 year-old company is a creative resource for a global list of premium brands, art collectors and the architectural industry. 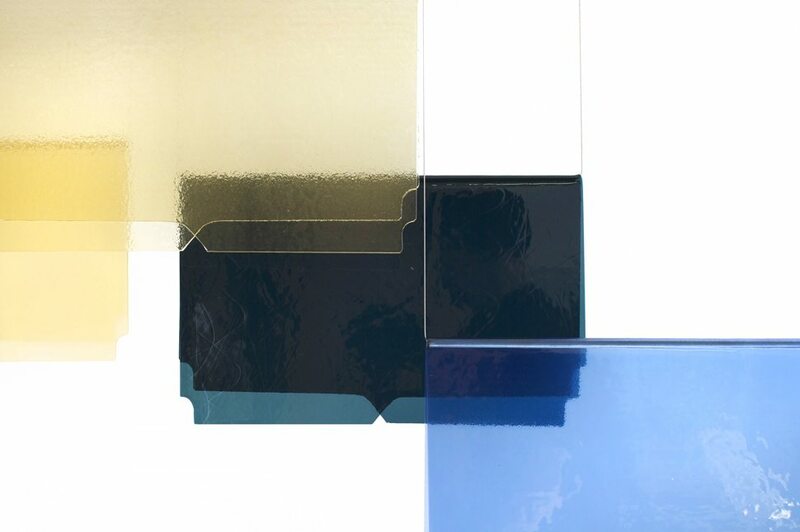 The studio is a leader in research and development of groundbreaking handmade architectural glass products. Jeff Goodman Studio’s past and present clients include The Ritz-Carlton Hotel, Barney’s New York, The Hazelton Hotel, and the Royal Ontario Museum.